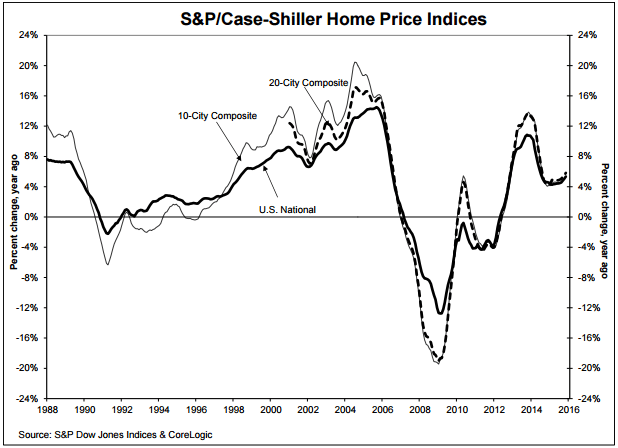 The S&P Case-Shiller Home Price Indices for November 2015 was released January 26 finding that home prices continued to increase over the last 12 months. On a national basis, the year-over-year gain was reported at 5.3 percent, just slightly higher than the October increase. “Home prices extended their gains, supported by continued low mortgage rates, tight supplies and an improving labor market,” says David M. Blitzer, Managing Director and Chairman of the Index Committee at S&P Dow Jones Indices. 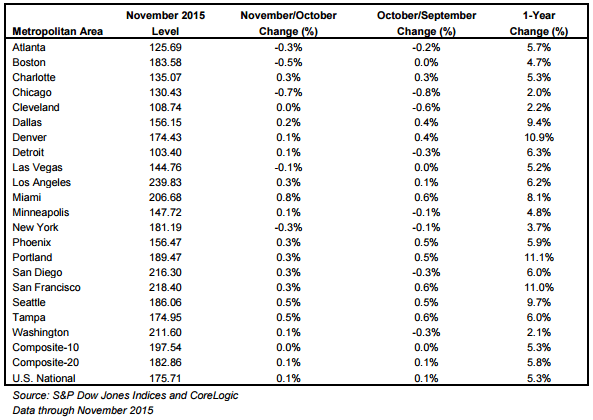 In November 2015, the San Francisco Home Price Index was reported at 218.40. On a month-over-month basis, the Home Price Index increased by 0.3 percent. This is on par with the September to October change. On an annual basis, the San Francisco index increased by 11 percent, almost a full percentage higher than the rest of the nation. How do home values near Levi's Stadium compare? 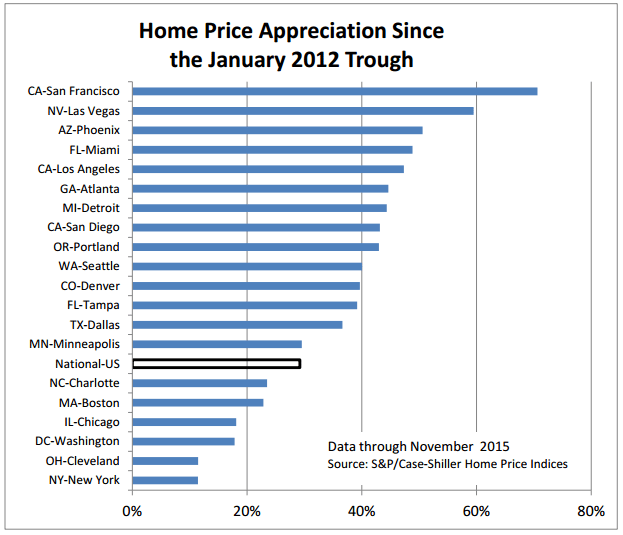 Is the San Francisco housing market ever going to cool down?